We have wedding bands in Sussex for hire, ideal for your wedding evening party, ceremony or drinks reception. Each wedding band is chosen by us for their amazing talent. This ensures you have the best live band that will be the talk of your wedding guests for years to come! Looking for the best wedding bands in Sussex? Silver Dog Music offers groovy soul & funk bands, fun and exciting pop bands, cool & edgy rock indie bands and sophisticated jazz & swing bands. Our wedding bands pride themselves on their professionalism, delivering fun & entertaining performances for brides and grooms throughout Sussex. The bands consist of world class musicians who ooze talent, often experienced in working with some of the top musicians in the UK. Areas include Brighton, Eastbourne, Hastings & Chichester. 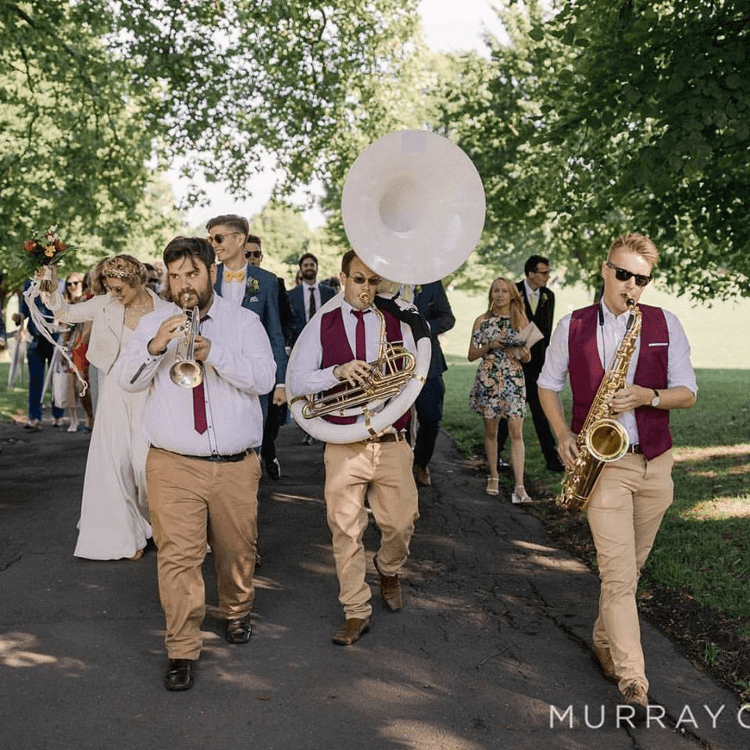 Our personal booking agents are highly experienced and on hand to offer expert advice to clients looking to hire wedding bands in Sussex and we offer a bespoke service dedicated to find the perfect live band for your wedding. Why Silver Dog Music Entertainment Agency? A dedicated agent assigned to each client from enquiry to booking stage and beyond, with an expert advisory service assisting clients in finding the perfect live music to make their event a success. Our standards are very high when considering artists to represent here at Silver Dog Music Entertainment Agency. Our A&R department is managed by a seasoned professional performer and leading authority on the live UK music industry. This ensures that we have a healthy portfolio of professional acts working at the highest level. Silver Dog Music Entertainment Agency has a wide network of musicians operating throughout the UK, saving time & money and ensuring great music, wherever the event. We offer amazing wedding bands for hire in Sussex for receptions and ceremonies. Choose from a range of music, from pop, soul, & funk to jazz, Latin, rat pack and motown.